If you have a rental property that you manage yourself, you have most likely dealt with your fair share of horrible tenants. If you have been renting the property for several years, you may have figured out ways to deal with or even weed out the terrible tenants, but sometimes they can sneak by your radar. If, however, you are new to the game and are just getting involved with the rental property lifestyle, bad tenants are something you will have to face from time to time. Tenant problems can range from late rent payments to illegal activities and everything in between. You want to be sure to ask questions phrased in specific ways, basically turning a showing into an interview for potential tenants. Phrase questions so that they don’t know what answer you are looking for, this will help you know what their intentions are, what they are like, and if they will be good tenants for your property. If you feel like your tenant screening process is not working as well as you would have hoped, it may be time to seek the help of an Atlanta property management company. At Atlantic Property Management, we can help manage your property for you, dealing with troublesome tenants, showing your property, and helping you every step of the way. Even if you do not seek our help, it is important for anyone with rental properties to know how to deal with terrible tenants. 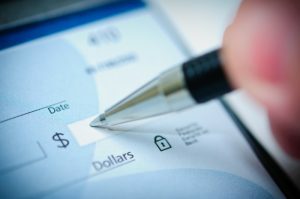 Let’s start with one of the most common problems that many Atlanta landlords face when dealing with tricky tenants: late rent payments. Hopefully, the rent is just late rather than not being paid all together. With late rent, if it happens more often than not, action needs to be taken. There are several reasons why your tenants may be late with their rent, but these truly don’t matter because your lease should state a specific date rent is collected, as well as fees for late rent. Any of these reasons do not give your tenant an excuse to be late on payments since they signed the lease. And because of these late payments, especially if recurring, you can turn to late rent notices or even eviction notices. But if you are the conflict-resolution type, trying to solve this issue may be a better option. Contact them, either by email or request to meet up in person to discuss the late payment issue. Figure out why they are late on their payments and ask if they are financially capable of paying their rent on time. Remind them of the agreements of your lease and make sure they understand these agreements. You may have to point out the consequences, such as eviction, to be sure that they understand the seriousness of these issues. It may be as simple as them being forgetful, in which they can set a reminder and start paying on time. If they continue to have trouble paying rent, eviction may be the best option. What is worse than late rent? No rent. Tenants who don’t pay rent, avoid contact and continue living at your property, are a huge problem. Whether they are financially unstable, recently lost their job, or extremely irresponsible, their problems become your problems. They may be prepared to up and move without any notice or payment to you, this is a situation you want to avoid at all cost. The first thing you will want to do is get in contact with them however you can. Once contact has been made, schedule a meeting with them, hopefully they show up. If they do, discuss the problems, circumstances, and consequences. Make sure they can still afford the rent. If they say they can, tell them what the consequences are if they continue not paying. The mention of eviction will hopefully help them realize the severity of their circumstances. If they do not take responsibility and begin paying rent after this, take action. If they can’t pay the rent, you have a few options. You could set them up with roommates, making the rent cheaper for them. Or, if you own multiple rentals, you could offer one of your less expensive properties. If these options don’t seem to suit them either, you always have the option of eviction. Hopefully, you haven’t run into too many of these tenant types. These are the tenants who treat your property like a destruction derby. They were not taught to leave things the way they found them, or better. Whether the destruction and damage are intentional or not, you need to get to the bottom of their behavior and activities. You will obviously want them to pay for the damages to be repaired and this should be done in writing, for proof. 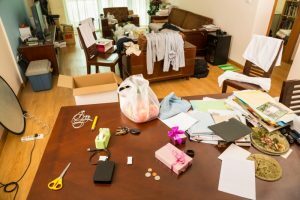 Be sure to record all the damages, before and after new tenants move in. You need proof of how your property looked before they moved in to properly record the damage caused by the tenant. Some damages the tenant may be able to fix easily, but for other, more serious damages, it may be smarter to hire a professional to make the fixes. These repairs should still be paid for by the tenant. Once repairs are done, send the tenants a bill, they can either pay for it over a scheduled period, or allow them to use their security deposit. If your destructive tenant does not repair or pay for the damages they caused, send them a Cure or Quit Notice. If they still fail to pay for their destruction, ask them to leave your property. Although there are many different terrible tenants, we will only go over these for now. In a future blog we will cover tenants who are overly needy, disruptive to their neighbors, and involved in illegal or troublesome activities. Remember, not all tenants in Atlanta become a problem. With a thorough screening, background check, and proper questions, you can weed out a majority of the terrible tenants, but some may slip by. Knowing how to deal with them, how to handle common problems, and knowing the laws will help you react to these tenants more easily and calmly. If you are sick of dealing with these tenants, however, you can always come to us for help. At Atlantic Property Management, we can help you manage your Atlanta rental property, screen potential tenants, and take care of your troublesome tenants. Contact us today to learn more about who we are and what we do!